L-Leucine - affects the synthesis of skeletal muscle in several ways: it increases the secretion of insulin, a powerful anabolic present in our body, affects the activity of protein kinase S6 accelerates the phosphorylation binding protein eIF4E and influences the degree of association between proteins (EIF) 4E and eIF4G. All this, despite the complex sounds and naming comes down to a very simple theorem - Leucine increases the degree and speed, use protein to build muscle. L-Isoleucine - providing large amounts of Leucine lowers the level of the other two amino acids isoleucine and valine, which is why it is so important to use all three compounds together. Additionally, isoleucine is known to glukogennych amino acids, that is, that the body in an easy and fast way can be converted to him necessary for the functioning of energy. This means that we will be able not only to train longer and harder, but also recover faster. 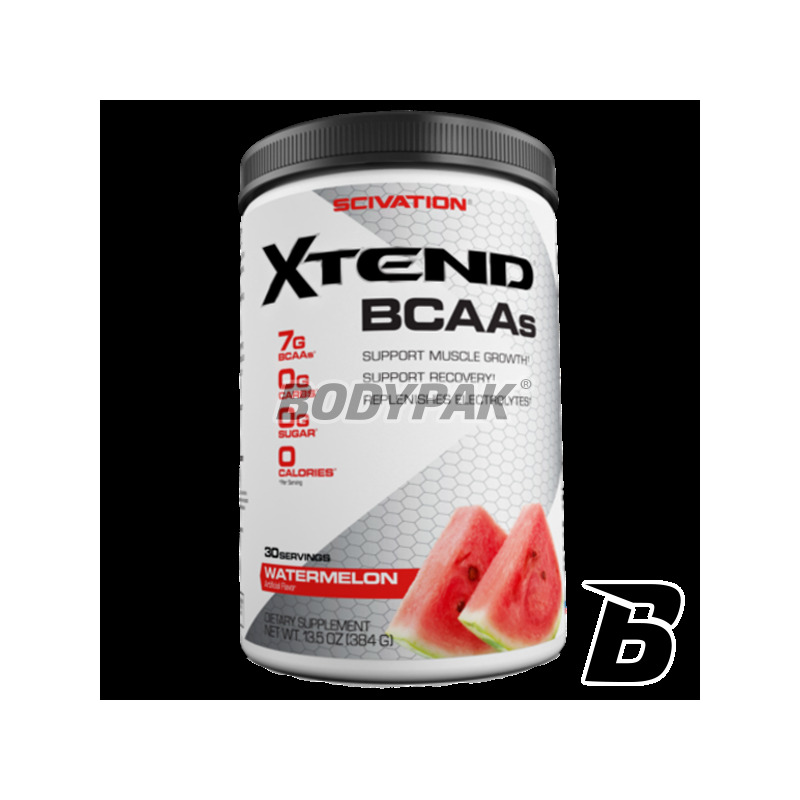 L-Valine - its presence in this combination, not only due, mentioned earlier, the need for administration of all three BCAA together but also to reduce the impact of fatigue of the central nervous system. In addition, as in the case of the other two amino acids, it is easily converted into energy consumed by the working muscles and thus saving glycogen stored in the liver. Citrulline Malate - is a precursor of creatine, is involved in muscle contraction and participates in the formation of nitric oxide - therefore responsible for m.in . : vasodilation and thus facilitating the transport of other compounds to and from the muscles. 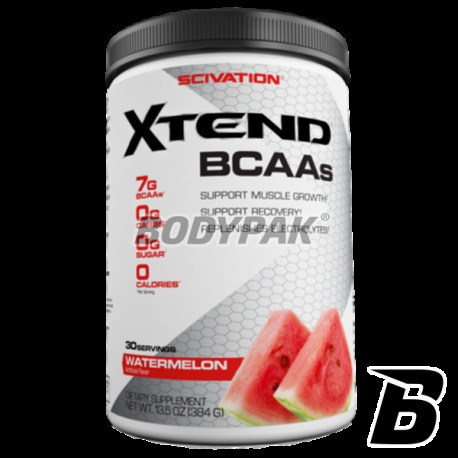 Now only fully seen as a comprehensive and well thought out composition has Xtend. This way you can be sure that your body, with each portion, receives everything he needs to successfully meet the tasks posed to him and very quickly regenerate after a hard workout. * POSSIBLE DIFFERENCES IN weight depending on the TASTE. 1 serving before workout 1 serving after training. Inne składniki: kwas cytrynowy, aromat naturalny, sukraloza, acesulfam K (Ace-K), FD&C Red Lake #40. Na prawde dobre BCAA, które działa! Wcześniej miałem z firmy typu Hi-Tec, Activlab i nie czułem żadnej różnicy. Stwierdziłem, że czas postawić na coś najwyższej jakości i nie myliłem się - jednak warto dołożyć troche pieniędzy, ale mieć z tego korzyści! Men’s Arginmax was developed with L-Arginine AKG as well as a range of vitamins, minerals and natural herb extracts all for one purpose only. Get great health benefits for your satisfaction. Nutritional supplements must not replace a balanced, varied diet and a healthy lifestyle.